Ride in the back of our ZERT (Zombie Emergency Response Truck) with fixed guns as we drive through our haunted forest shooting ghouls, ghosts, and zombies. Help us traverse the field and it’s many obstacles as we eliminate the monsters of the night. 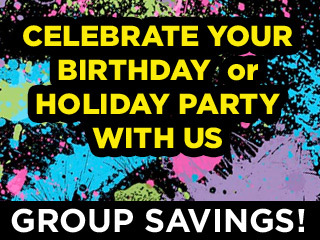 $39 will give you access and 200 rounds of glow-in-the-dark 50 caliber paintballs. Additional paintballs are $10 per 100 shots of glow-in-the-dark paint. Safe and fun for ages five and up! 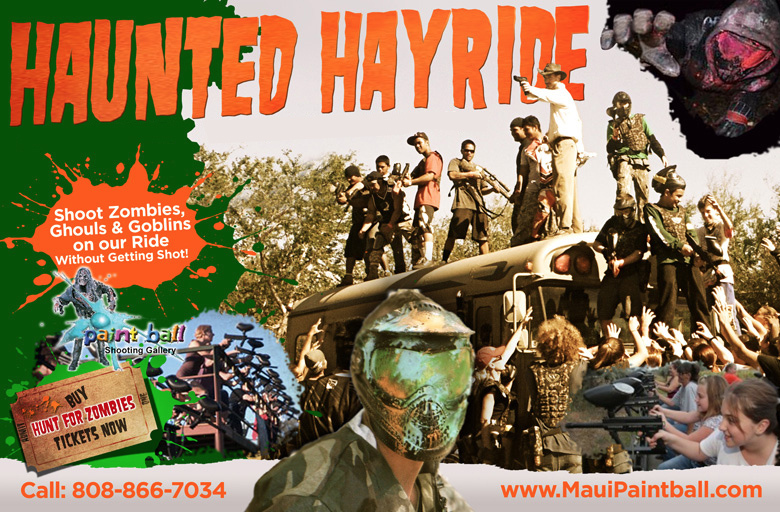 This will be the last year that Maui Paintball will be having a Haunted Hayride so be sure to sign up early as we always sell out and once we sell out that will be your last chance to ever do one of Maui’s most exciting Haunted Experiences!